Another officer was shot and killed today. Two officers outside of Los Angeles answered a call that they thought was a traffic accident. When they got there, a gang banger with tattoos started shooting at them. He killed one officer and wounded the other one. The thug was also wounded. Both the wounded officer and the killer will survive. The shooting unfolded around 8 am near Colima Road and Mar Vista Street. Originally, the shooter had hit someone’s car from behind at a stoplight. He was out trying to push his car when the police arrived and the shoot out started. 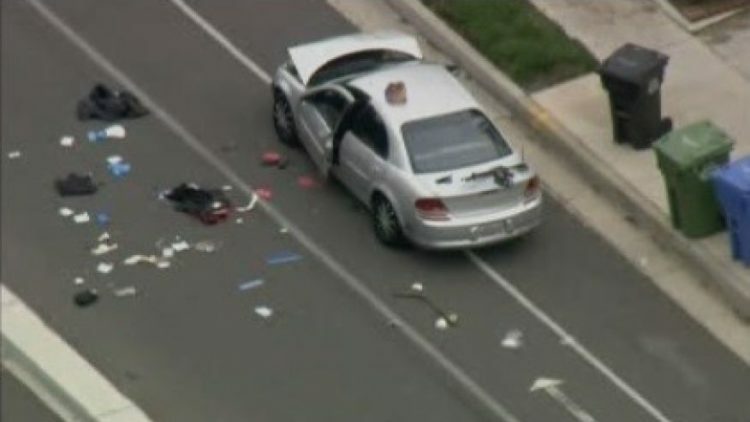 Aerial footage of the scene showed a window of a Whittier police SUV partially shattered. A silver car in front of the SUV had front end damage and a weapon visible on top of its trunk. 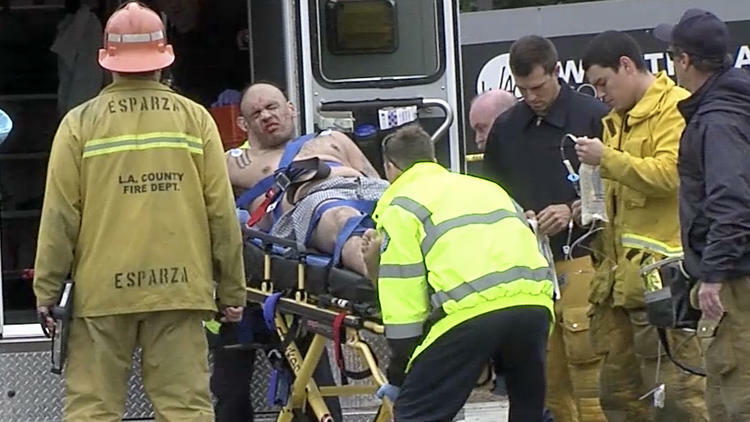 Los Angeles County Fire Dispatch Supervisor Art Marrujo said the suspect was treated for gunshot wounds. The two officers were taken to LA County-USC Medical Center, where one was shortly thereafter declared dead. This is one of the reasons that I agree with President Trump that we should have anti-gang units going after these thugs. They terrorize and kill people and it has got to stop. This happened evidently in Whittier and the car the guy was driving was stolen. The wounded suspect is a gang member who is known to police. The Whittier Police Department has about 128 sworn officers who police the cities of Whittier and Santa Fe Springs in southeastern Los Angeles County. Monday afternoon, a procession of police vehicles traveled from the hospital, accompanying the slain officer’s body to the Orange County coroner’s office. Their cars were greeted by a line of law enforcement officers who saluted as the procession drove by. This officer was the third to die in Whittier in the line of duty. One died in 1977 and the other in 1979.